Demon Lord Milim is a whole ton of fun, and she's here to stay. 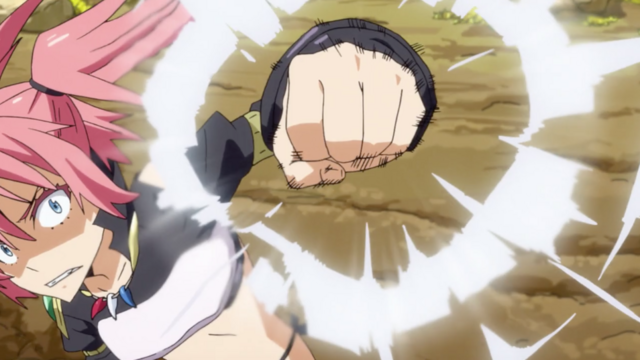 She’s young, she’s cute, she can pack one hell of a punch, it’s Milim! She's recently swooped into the world of That Time I Got Reincarnated As A Slime as one of the mysterious and feared ten demon lords, but she's no scheming aristocrat or Dark Souls boss, but a young girl who just wants to have a good time. It doesn’t exactly fit the image of a grand and powerful demon lord, but Milim is one of the most powerful of the bunch. She loves to fight, is always seeking out new and fun things, and can even overpower our favorite slime, Rimuru. She arrived into Rimuru’s world with a bang, and she’s here to stay. 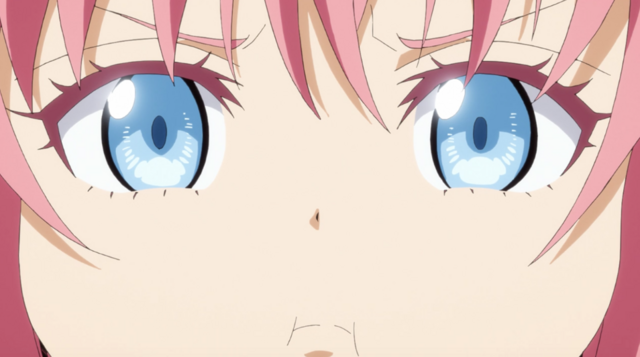 It’s only been a few episodes since Milim was introduced, but there’s truly a lot she brings to the show, and several hints that there’s a lot more of her to come. At this point in time, we don’t know much about the other demon lords. While it’s a little bit of a stretch to say that they’re all on friendly terms, at the very least, they seem to have a non-aggression pact with each other to prevent further chaos. With the exception of Clayman, most demon lords that we’ve seen so far seem content to exercise their power only over their specific territories. With such a fragile balance in play, the emergence of a new country, especially Jura Tempest, is a tricky one in the power-hungry world of contesting demon lords. 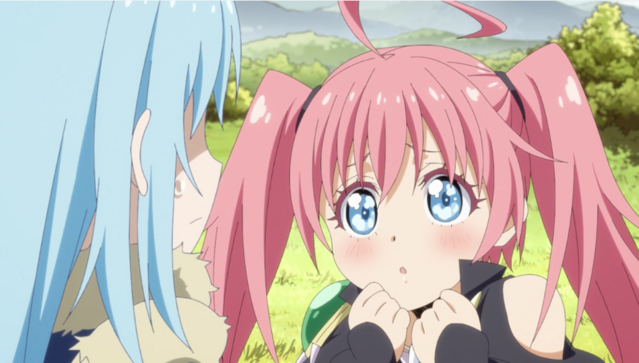 Milim appearing when she did, and striking up friendly relationships with Rimuru was a stroke of luck. She has promised to put in a word to the other demon lords, which might allow Jura Tempest some peace in the future. While Rimuru chooses to have her stay out of Jura Tempest’s affairs, in a pinch, she could definitely be some crucial military backup. This is the same girl that’s able to one-shot Charybdis. If another disaster occurs, Milim is bound to be a fantastic ally, as long as Rimuru keeps providing her with honey and fun experiences. She is a child at heart, after all. Beyond possibly being able to provide what exactly the demon lords are and what they want, Milim herself is quite mysterious. She's ancient-- so old, in fact, that she doesn't exactly recall how she became a demon lord. It's hard to tell exactly what type of being she is, as she looks human but clearly isn't. Her power even far eclipses someone incredibly powerful like Rimuru, and she is able to take down disasters like Charybdis with ease. 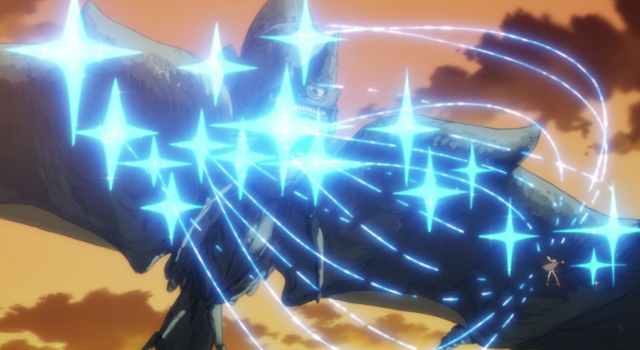 The attack she uses to take down Charybdis in particular, Drago Buster, interestingly, seems to evoke dragons. At this point in time, we don't know much about the dragon species, but from the only dragon we know for certain, Veldora, we can be sure that they're at least extremely powerful. That Milim is possibly connected to them somehow sparks intrigue, for through her we could find out, or perhaps, get a hint to breaking Veldora's seal. On a pure visual basis, she may be young and immature, but she also has a lot of energy. Milim is a very active character, hopping around the screen, swinging her legs. She is a chaotic force, but not necessarily in a destructive way. Every time she comes on screen, she’s fun to watch, simply because the animators have a good time with her. As such, she’s pretty dynamic anytime she appears, because she’s constantly moving around. Anime is, well, it’s supposed to be animated, and having a character that makes the world feel active truly helps the Slime experience. Beneath her cheerful demeanor is a far more somber character. Milim is regarded to be more powerful than a majority of the demon lords, including Clayman who is behind the recent manipulations. While her name is highly known as something to be feared, her appearance doesn’t fit with her fame-- in fact, she doesn’t seem to be recognized by many people on sight. One of the goblins even remarks that it’s his first time seeing her in person. Most of the time, people act like she’s joking when she introduces herself, and that’s likely something that has happened a lot over time. That she badly wants Rimiru to be her friend, and takes the idea of friendship truly to heart would imply that she doesn’t have many friends normally. Even relaxing with Shion and Shuna in the onsen seems to be something that she’s experiencing for the first time. Taking all this into account, Milim is likely pretty lonely. She has lived for a very long time, and being treated the way she is, it’s fairly safe to say that she has been isolated, both due to her power and her status. People tend to see her as more of a threat than anything else, so her relationships are based off maintaining a sense of power. She is proud of being a demon lord, but the truth is, she finds the position boring. However, in Jura Tempest, she is allowed to have fun. Her playing around; splashing in the onsen, having delicious sweets, having fun, are all things she seems to be doing for the first time. It’s not just us as the audience learning new information, but rather, we’re sharing the same journey that Milim is experiencing. It’s hard to not have some fun with that. 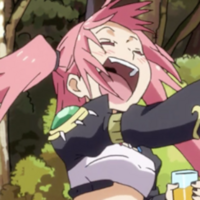 What's your favorite thing about Milim? Let us know in the comments! Crunchyroll Staff's Winter Anime Favorites!